THPBlog: Roseburg Resources Company to clearcut log near Burney, CA and Highway 299 summit. Roseburg Resources Company to clearcut log near Burney, CA and Highway 299 summit. THP 2-13-082 SHA (Mt. 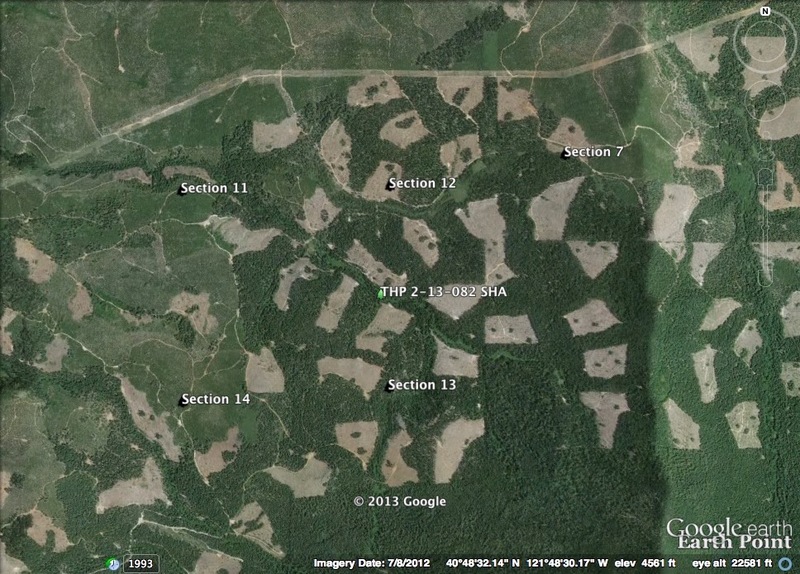 Gomer THP) Roseburg Resources Company, 219 acres; 84% clearcut, 15% selection, 1% roadside logging. Upper Montgomery Creek (MD: T34N R1E Sec.11, 12, 13, 14; T34N R2E Sec.7). Winter operations, moderate erosion hazard, slopes up to 50%, steep roads, 8 road drainage work sites, snow mountain roadless area, herbicides, 1 CA spotted owl within 1.3mi, 2 goshawk territories, giant checkerbloom, salmon mountain wakerobin, trees up to 24" dbh. Estimated public comment deadline: 12/04/13. This THP is about 8 miles SW of Burney, CA and a few miles SW of the summit of Highway 299 at an elevation of 4,400 to 5,200 feet. 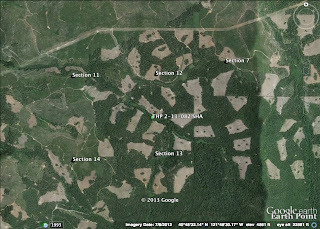 Roseburg Resources Company is planning a mostly clearcut tractor based logging operation in mixed conifer stands. 1,200 feet of existing roads and 2 landings are proposed for use within a watercourse. A steep road between 15 to 20% grade is proposed for construction for 250 feet to access unit 1305. There are 8 road drainage sites planned for work including rocking, dip construction, ditch cleaning and culvert repair and replacement. The THP area contains 2 goshawk territories, including the recent sighting of a young goshawk near unit 1305. Giant chekerbloom and Salmon Mountain wakerobin were found in the THP area along the North Fork of Montgomery Creek. Section 13 is close to a portion of the snow mountain roadless area. More information is available on the THP Tracking Center website.